February 17th, 2015 (1:11 PM). Edited March 19th, 2015 by FBI. 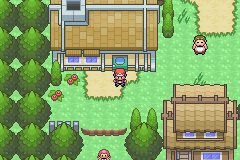 Hack of Fire Red. FBI Agent has threatened to quit the team, and commit suicide. 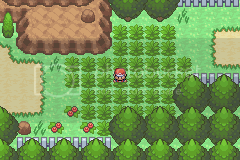 By honoring his life, the team has decided to hack Fire Red. No one is allowed to dispute this. The player takes on the role of a Hero who's born into a controlling family. His elders wish for him to work in village and not travel the land searching far and wide. Unhappy with the recent developments, our hero decides to run away from home. He raids the local [lab? 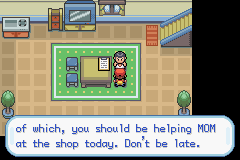 we haven't decided yet] and steals a Pokemon and equipment. From then on, the Hero's criminal life beings. Join in on a thrilling adventure as our Hero evades the law and builds his own organisation, in an other wise peaceful region all while obtaining badges and the "b" word in plural! Remember this is a rough idea, we're still looking to finalize and cover some unexplained areas of the story. 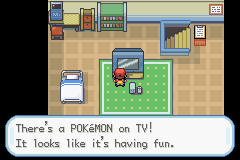 Level caps: Based on badges, the player can only control a Pokemon of X level. After a Pokemon exceeds level X, it will run away from the trainer's party (or stop gaining exp). This encourages the player to keep a well rounded team, and not train just a single Pokemon to carry them throughout the story. Dual perspective: Play as the main hero, and a potential Lackey(or other character, undecided) with the hero recruits. Enjoy the story from two view points! It's a unique game play feature that no other hack has had before. We're excited to launch! Own your own Gym: Own and maintain the reputation of your own secret gym by battling the occasional challenger. 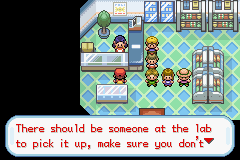 The player needs to accept challenges every now and then, upon winning a challenge, the player and the local GYM's reputation will go up. Soon everyone will be talking about the impossible to defeat Gym! In game trading systems: Several fanatics in game will trade Pokemon based on type. You may find the Fire fanatic to be a part of the fire gym, and upon completion you can trade fire Pokemon with him. Like this, we will keep the game's original trading to evolve system by instead creating NPCs to solve the issues currently present with it! Updated field moves: We decided to add more field moves, while they're not HMs and (probably) not required for the main story, we thought it would be neat to be able to (for example) use Sunny day on a rainy map to make it sunny. More moves like that will be usable in the BRM as we think of them. Stay tuned! Menu Music: There will be new music playing for when you open up the start menu! Forced saves: As a service we may be forcing a save to happen before a major events or legendary encounters just to help the player out. I secretly believe it creates some hype and anticipation when the player sees the game being saved right before something happens! Custom introduction! : A cool (hopefully) introduction sequence! More to come! : Keep up the brain storm guys! Story 85% - Waiting for confirmation and needs to iron out some rough edges. Features ? ?% - We've got a grand list of 6 features we want so far, probably will add more as the rest of the team pitches in. Scripts %3 - First town done! Maps 3% - Two towns, and a few routes done! Everything else 0% - Stay tuned! manadhon - 1 sentence description coming soon. FBI Agent - Contrary to popular belief, doesn't work for the FBI. Logical Cabbage - Contrary to popular belief, 100% a geek and a bookworm. hihohilton - 1 sentence description coming soon. Thoughts - In accordance to popular belief, is thoughtful. February 17th, 2015 (3:57 PM). I can't believe I barely noticed this thread, but thanks FBI Agent for creating it! I still insit Skype is a good way to get around, but a thread here locally can't hurt at all. February 17th, 2015 (5:02 PM). Edited February 17th, 2015 by FBI. EDIT: We made up a basic story line template. Please give us your thoughts in it. Also came up with 6 features we thought would be pretty cool too, if you want to add more speak up! Finally Dr.Fuji's got some sweet tiles he's gonna let us use and Manadhon's got a music archive he's agreed to share too. We're well on our way, but before progressing any further, I want to ask the opinions of the remaining members. Read the main post soon, I'll update it with what we've got. February 18th, 2015 (3:51 PM). Very interesting. I'm especially interested in the Pokemon Level Cap and the Owning your own gym mechanic. This may actually be my favorite team. Best of Luck to you all. February 18th, 2015 (4:04 PM). Some updates. We've decided to stick to the story we made up, but have been working on fine tuning the player's motivations and the direction of the plot in general. February 19th, 2015 (9:31 PM). Edited February 22nd, 2015 by FBI. I've got some more field moves done. Currently the only one I need to do is substitute. 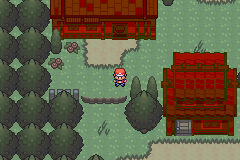 It's kind of hard, so I might just cheat and put an overworld hidden in every map. If I have to do that, then I'm probably not going to do substitute. Anyways, here's Rain dance, Sandstorm, Thunder and Earthquake. February 20th, 2015 (6:55 PM). We have finally decided on a hack name which is still in progress, Pokemon: Team 4ever! Corny jokes aside, we've started on the mapping and scripting aspects of the hack, now that we've got some spiffy new tiles inserted. 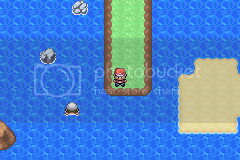 Revisions and such will be coming over the next few days along with even more graphical features such as battle backgrounds and new Pokemon sprites. February 28th, 2015 (3:57 AM). Looking at the features and storyline is already great. Good luck on the competitions!! Looking for scripters,mappers and tile inserters (all sort of persons who can help me) on Pokémon Flare. March 1st, 2015 (3:27 PM). Edited March 1st, 2015 by FBI. You're generated a 6 Pokemon party and you are to battle a string of random trainers. See how long you last. If your Pokemon faints, it's gone! A non-trainer battle related mode. Given X amount of Pokeballs, capture as many Pokemon as you can. Break records, win prizes, face the frontier brain...whose a Pokemon??? It's a double battle against an opponent. The first mode is with 2 of your own Pokemon, the second mode is with 2 randomly generated Pokemon. If you use the random Pokemon, you are able to "switch" with an opponent you defeat. Bring up your heaviest hitter. A 1vs1 to determine who's the strongest trainer/Pokemon combination. No level restrictions at all, and EXP is enabled. Bet money on exactly how many rounds you will last using your party. Items are enabled. Gain half of your bet, and lose all of it. Yeah, nothing's fair 'round these parts. Have you got any more awesome ideas? Perhaps concepts for these kind of battles which would be fun and engaging? Let us know! To keep you company here's a Nuzlocke battle thing. I lasted 5 rounds before losing accidentally cutting the video. In the video, the party I'm generated (at the start) and the trainer is generated is randomized via ASM. Items are disabled and Pokemon are deleted if they faint. I'm also using the same sprite over and over again, but in the real version the sprites won't be static like in the video. I'll make more vids of these stuff as I have time. You may want to increase the play speed of your youtube, because I'm spending a majority of the video in battles doing very poor choices. Here's metronome. Obviously the battle sequences would be the same so I thought I'd save some time and just show the move setter. March 19th, 2015 (12:35 PM). Edited March 19th, 2015 by FBI. Well, we haven't had an update in ages for the thread. Most of our communication has been on skype, so that would explain why this place is a little barren. Anyways, recently we've been working on finishing up some maps and scripts, so progress has been going fine. A peak of the outside world! 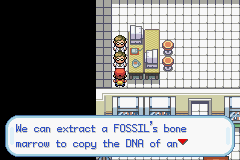 Your local lab's fossil enthusiast. A pic during an event. We're still working on the house/lab pallettes, so until they're updated, the red Pals are a place holder. On my end, I've got some more fancy fancy routines completed. While I can't show off some of them without spoiling plot lines and game play, I guess showing off a custom introduction I've been working on won't be too bad. I had to manage a way to handle user-input and rapid OAM generation/deletion. In the end, I think the end result came out fine. If you've got any suggestions for either features or how to improve the introduction sequence, let us know!